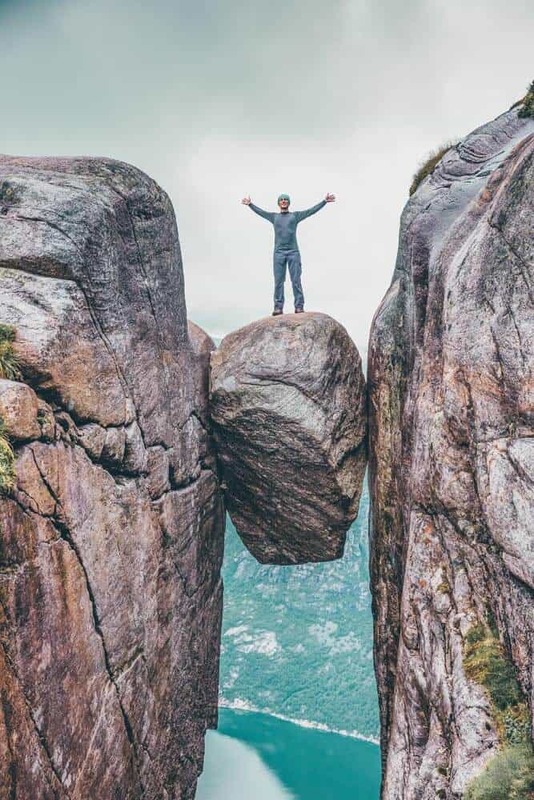 Want to explore some of the most beautiful places in Norway? 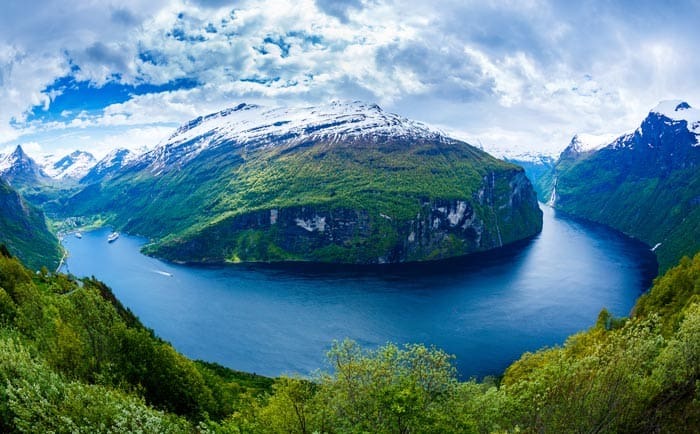 Norway is one of the most breathtakingly beautiful countries in the world! Yes, this is my opinion, but if you disagree, you are wrong (LOL). After looking at these pictures, how can anyone argue? 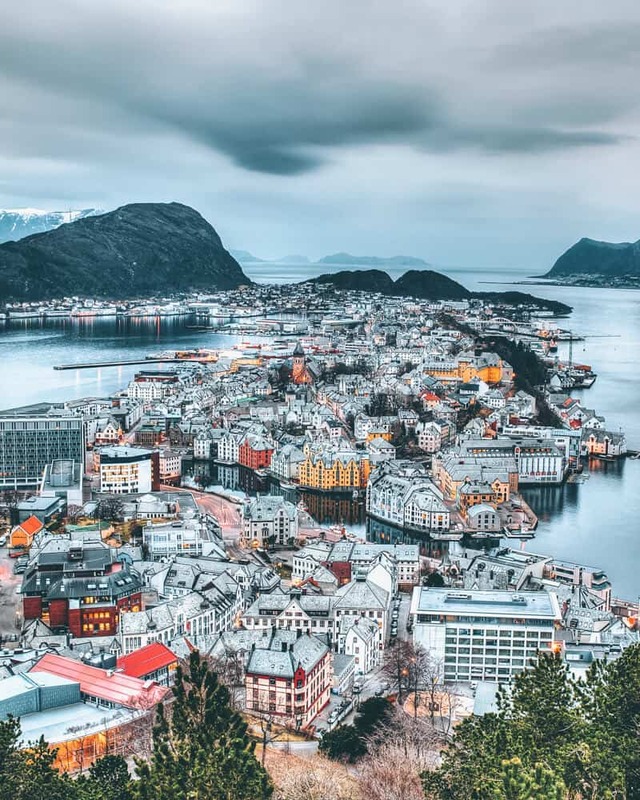 Norway features: cliffs, fjords, villages, fields of flowers, northern lights, and colorful cities on the water all in one… all this beauty, are you kidding me?! 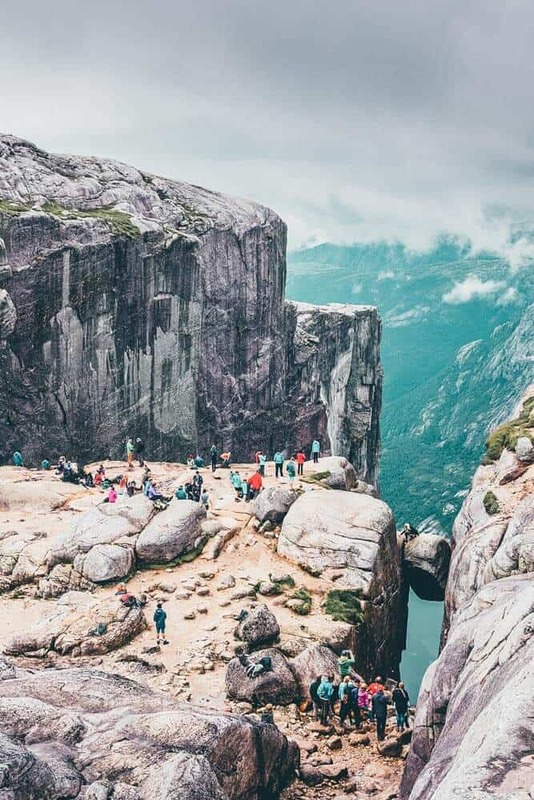 The problem I have always had with Norway is that you need to spend so much time there to be able to see all the sights. They are far apart and can be very expensive to get to. 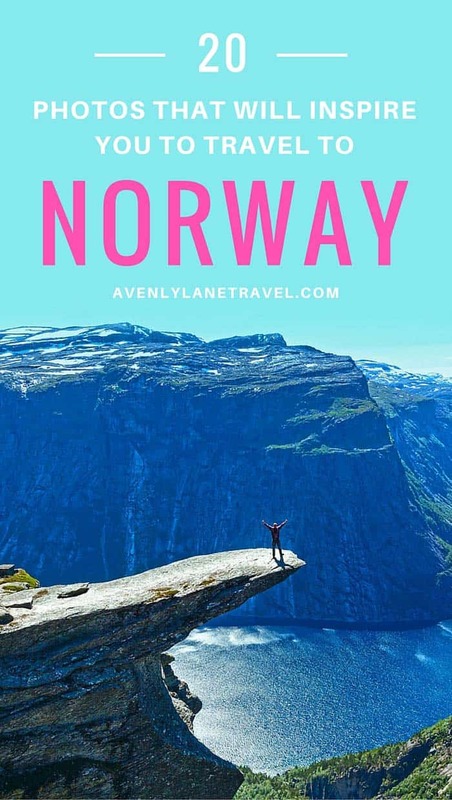 I recently discovered a great way to see a lot of the sights is on a Norwegian cruise. 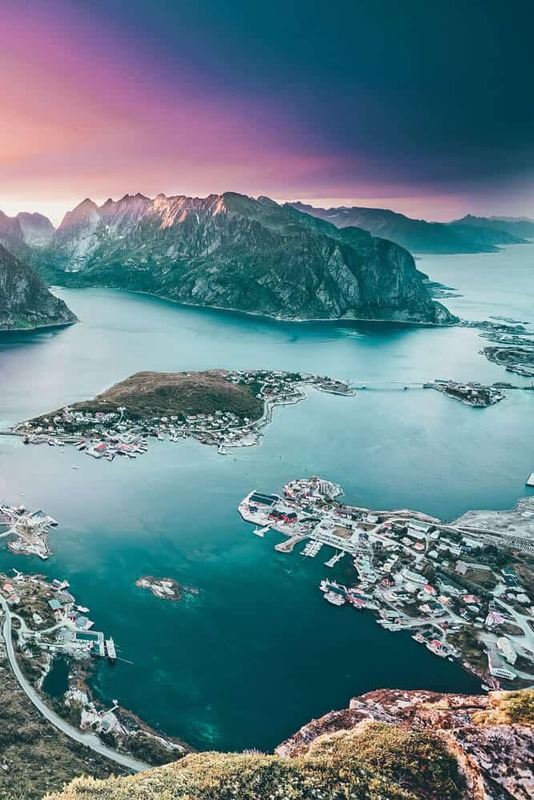 By seeing the country via boat, you can get to parts of Norway that otherwise might be quite difficult and very time consuming to travel to. I mean, who doesn’t like going to bed and waking up in a whole new magical destination?! 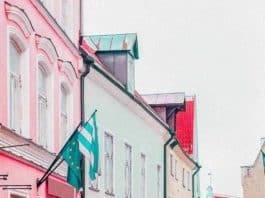 My husband and I just found an 8 day Norwegian cruise for $350 per person, and are thinking we might not be able to pass it up! 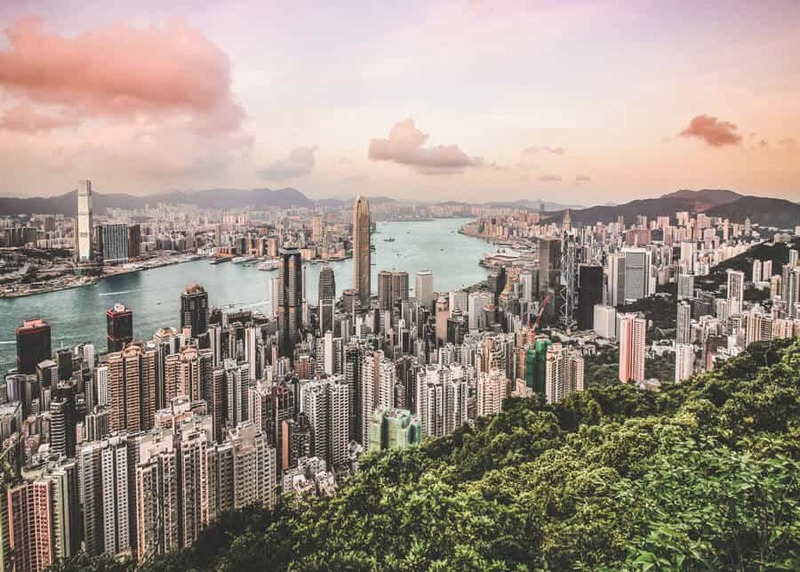 We will let you know what we end up doing, but the best way to keep up with our travels is by subscribing here. 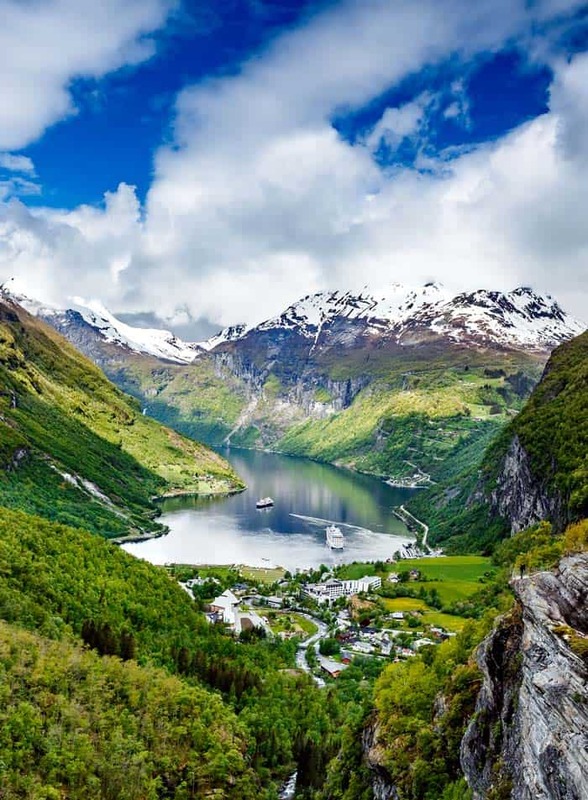 For now, enjoy some of these these amazing photos of Norway! 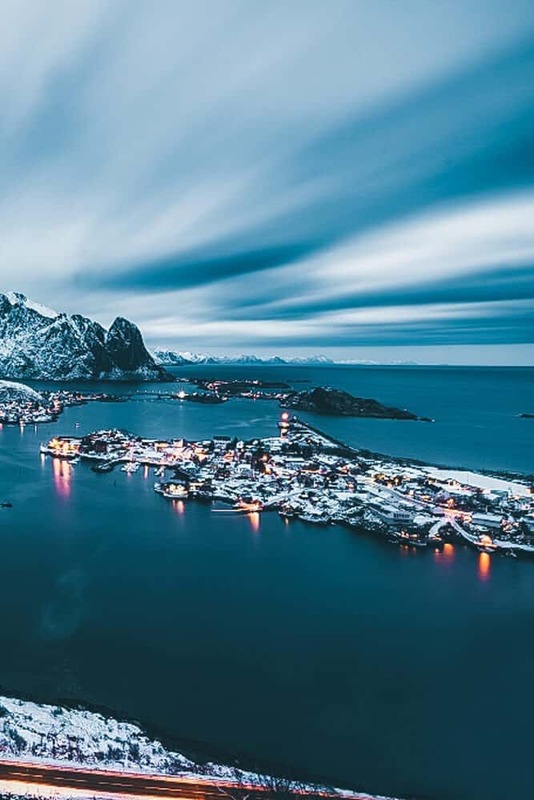 Gorgeous mountains in the Lofoten Islands. 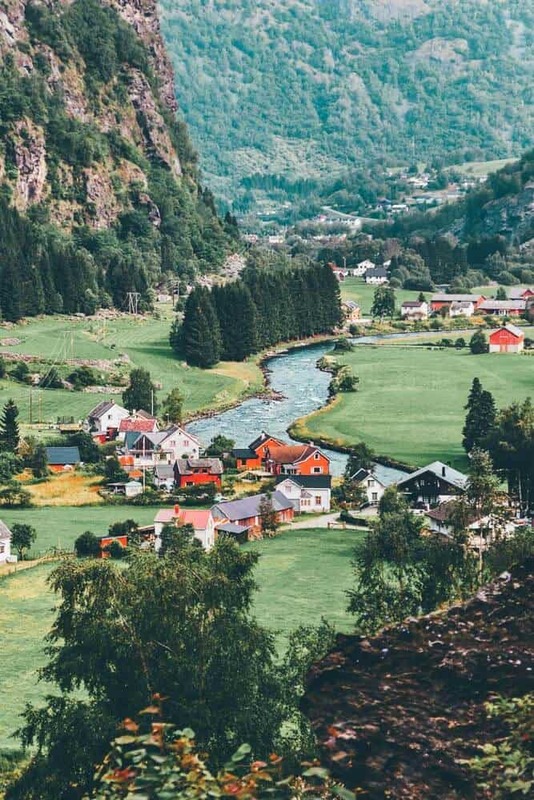 The small village of Flam in the Aurlandsfjord. I mean, does it get any cuter than this?! 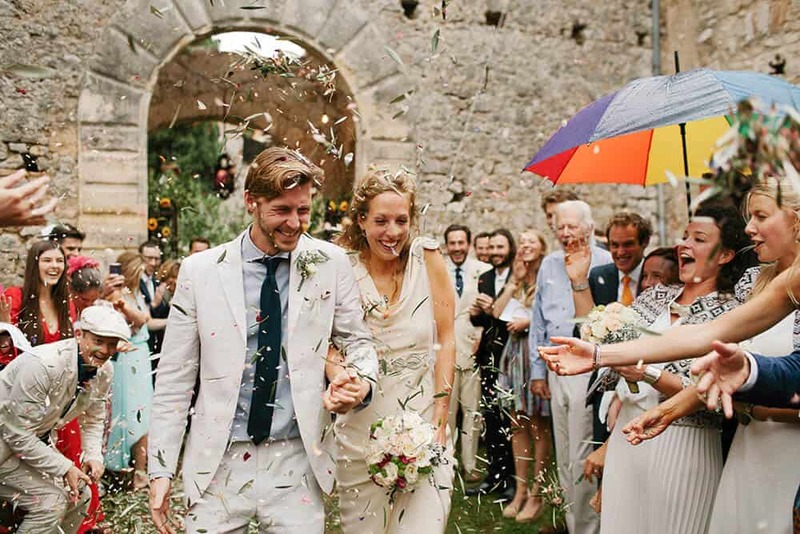 Have a thing for charming, fairy tale like villages? 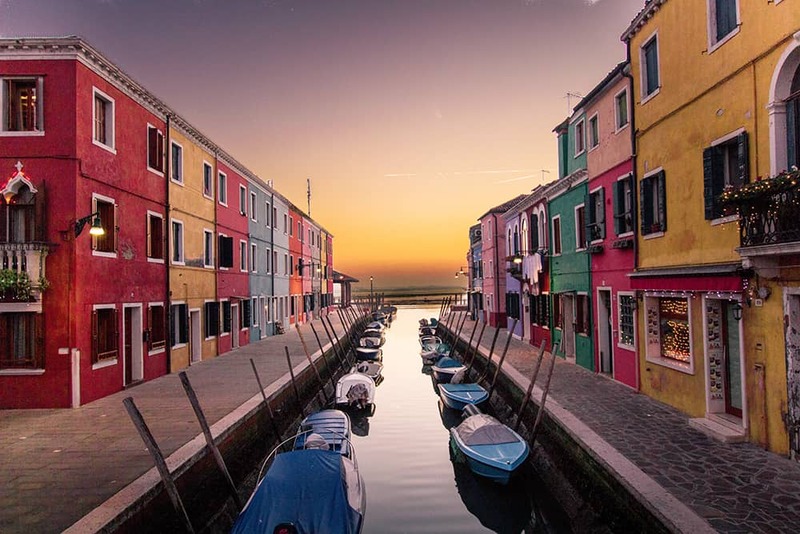 Check out 26 of our favorite villages in the world here. 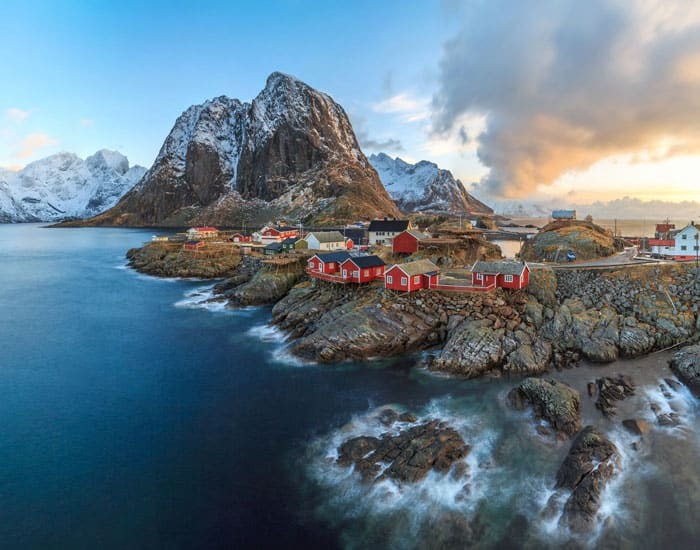 Fishing village of Reine in the Lofoten Islands. Waterfall near Briksdal Glacier. 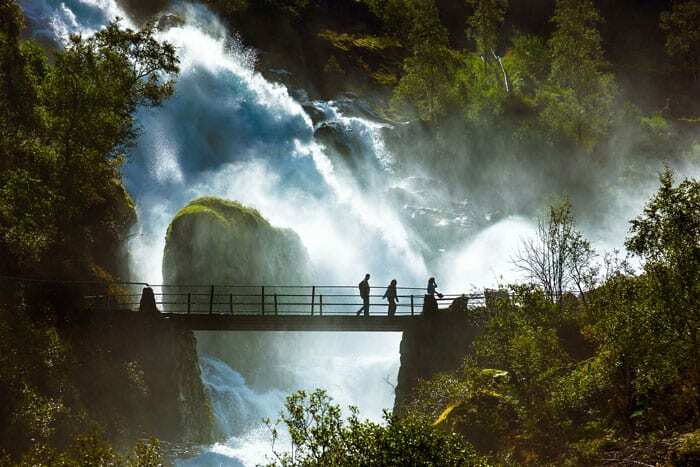 Norway has some of the most beautiful waterfalls in the world as well, could it get any better than this?! Famous Bryggen street in Bergen. 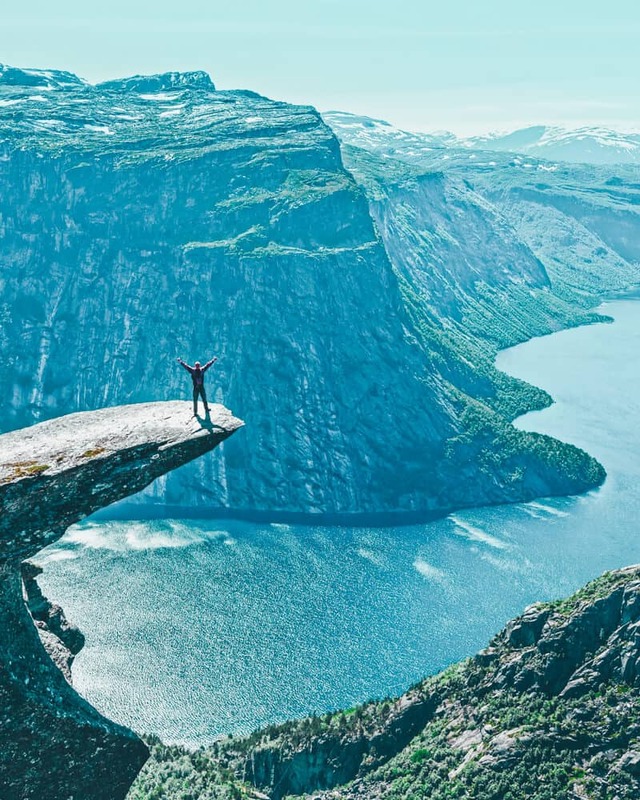 Trolltunga (The Troll’s tongue) in Odda. It is the exact same thing as the “Hydro Flask” water bottle but less than half of the cost! I’ve been wanting Hydro Flask for a while, but couldn’t bring myself to pay $45 for a water bottle, so I was excited when I found the MIRA, and especially excited when it worked (if you don’t believe me, read the reviews). The selfie stick tripod is another one of my best purchases ever. It has a remote so you will have complete freedom when traveling to take as many photos as you want with everyone in them. It can also take vertical or landscape photos which was why I ultimately ended up going with this one. None of the other mini tripods I could find had that option. 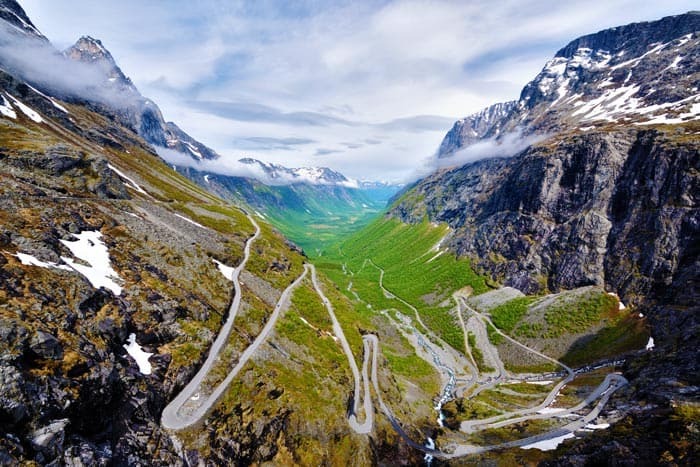 The “Troll’s Ladder”, Trollstigen Mountain Road. Geiranger Fjord again! So beautiful. Reine in the Lofoten Islands. 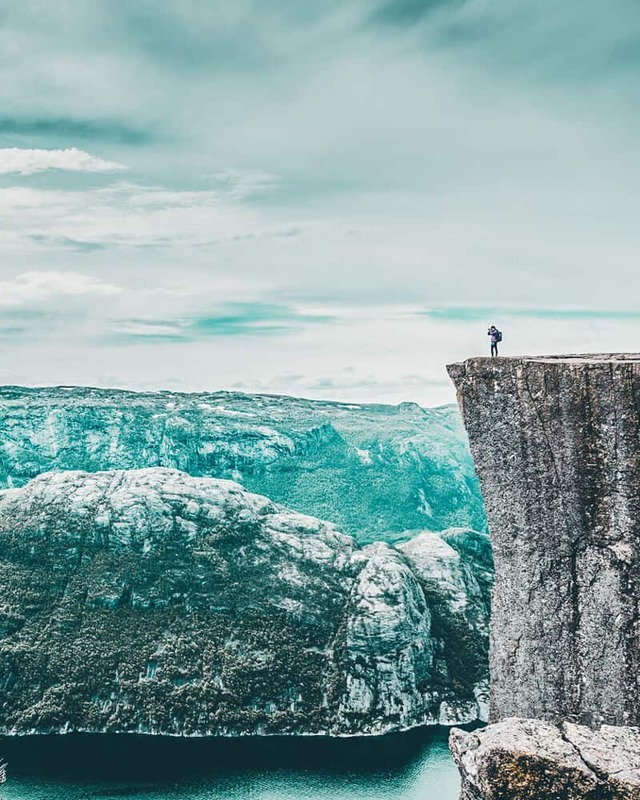 Pulpit Rock perched on top of a jutting 600m-tall (1969 ft) cliff. Bruges, Bergen Norway during Christmas! Not sure I would be brave enough to walk on this. What about you? 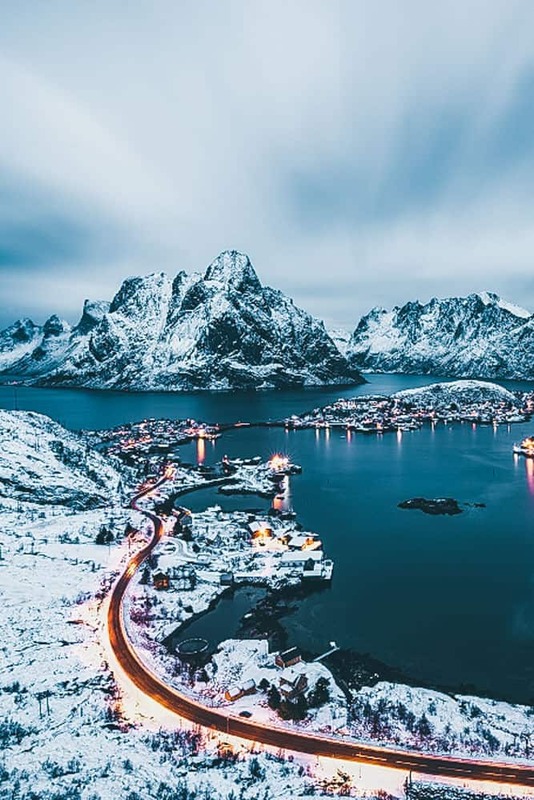 Roads in Reine lit up at night. View from the mountain top in Bergen because I just couldn’t help myself. 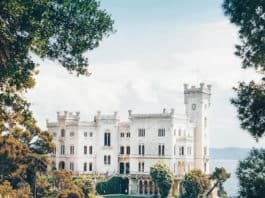 Looking for more European inspiration? 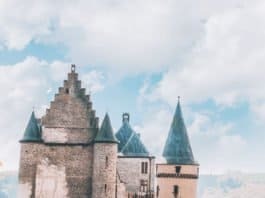 Here are some more of our most popular posts to help you plan your trip to Europe. 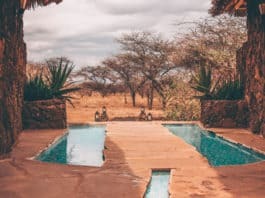 The 20 Best Pools on Earth! Thank you so much! 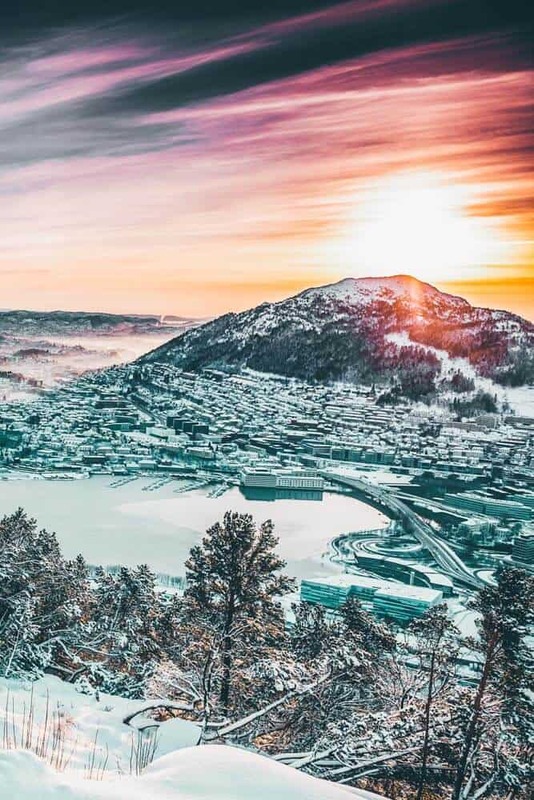 Norway is so hard to beat when it comes to beauty, for all the reasons you mentioned Laia. That’s awesome you have been there during both seasons! That is awesome Terri! I had to look up Tromso, never heard of it until now. It looks incredible! I totally get living vicariously through someones travels as well. My husband is off to Hong Kong and Thailand without me next week. :( Thank goodness I can follow along on snapchat! Haha. Such a wonderful country! I would like to visit it, but I have a huge problem: I always prefer other countries hahahaha Peru, Nepal, Iran, Rwanda etc. Someone of you is experiencing the same? Haha, I totally get that! Sounds like you love visiting the lesser explored parts of the world. I am kind of the same way. Not sure I have the guts to visit Iran though. When are you planning on going?! Ha, YES! It most definitely should be THE destination for nature lovers and photographers. Isn’t it just so beautiful? 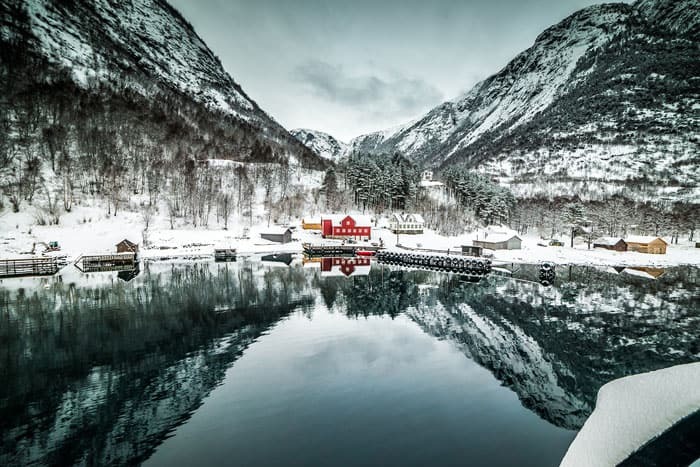 Those are all some incredible pictures of Norway – and the country looks even more beautiful when covered in snow. Thanks Mary! I bet it is really gorgeous in the winter! Uh oh! 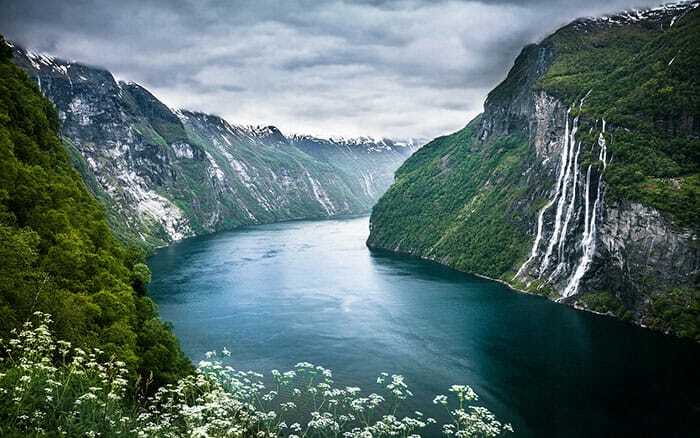 I am putting Norway on my bucket list now. BEAUTIFUL! Haha! Couldn’t agree with you more!! Could you please tell me where you found that low fjord cruise price, as everything I find is at least double that. We’ll be in Norway this November. 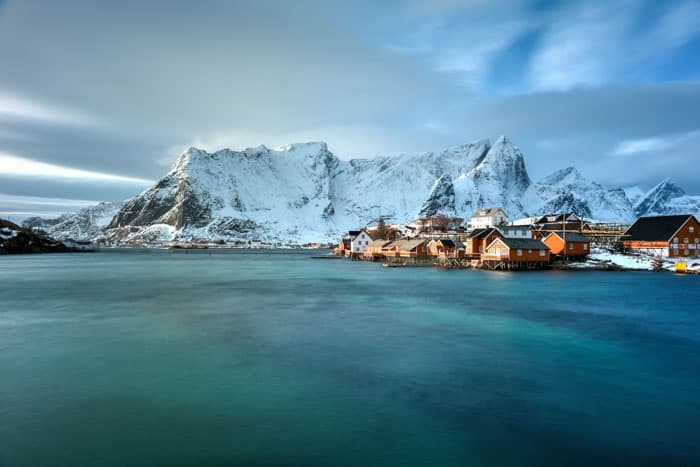 Norway is at the very top of my list! My sister lives there and we are very much due for a visit. Thanks for all the awesome pictures. Hey Sabrina! That is so awesome you have family there. Hopefully you will get to go soon!!! Thanks for reading. Omg, did you take all those pictures yourself? They’re stunning! 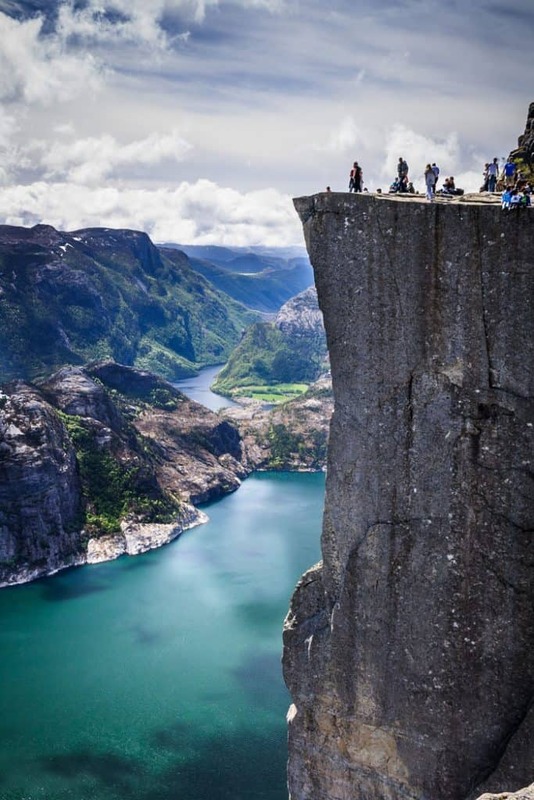 Hi Sabrina, as frequent visitor of Norway I might give you a little tip for an extensive view of Norway. My wife went to Bergen by car (our own) and got on board of the Hurtigruten coastal ferry. At the end of its regular route we got of in Kirkenes (near the Russian border) and drove back via the coastal highway. Stayed in huts and had plenty of time (i.e. 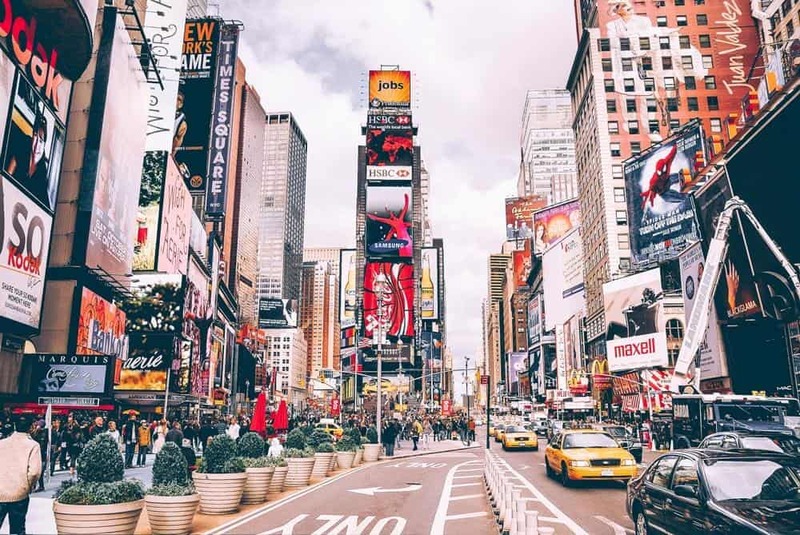 three weeks) to see most of the sites you show pictures of. We went back by ferry to Denmark and drove home through Germany. 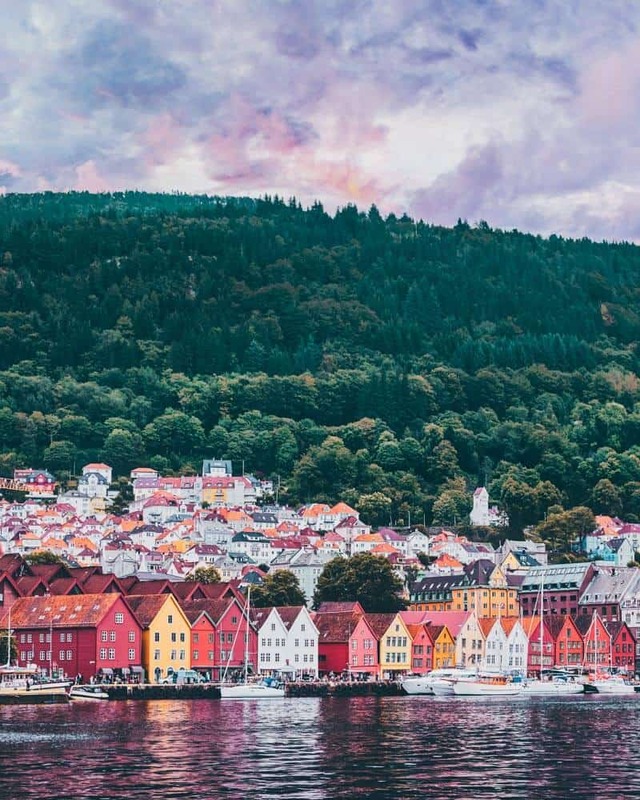 Alternatively one can also fly into Bergen, take the Hurtigruten to Kirkenes and drive a rental car to Bergen. Thanks for your story on Norway! It’s so good to hear that you were able to see so much in 3 weeks! Maybe we will consider renting a car on our trip. Sounds like you had an amazing trip and thanks so much for the tips!! Taking the back packing and go! Go! These places are great! Haha! I hear ya! 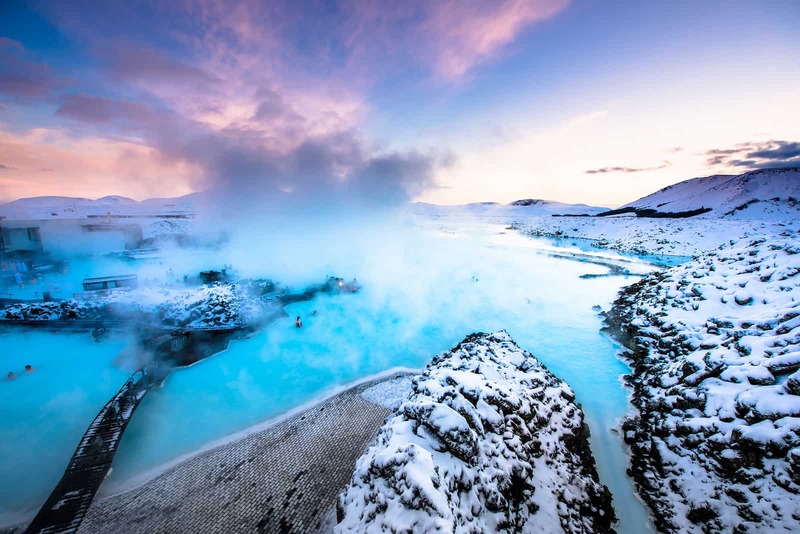 These places really are pretty amazing! Nice! Are these all your photos? Done! Sign me up! What airport would you fly into if you’re going to Norway!? I was in Norway in 1980, and I still remember the beauty of those places. Nice article! 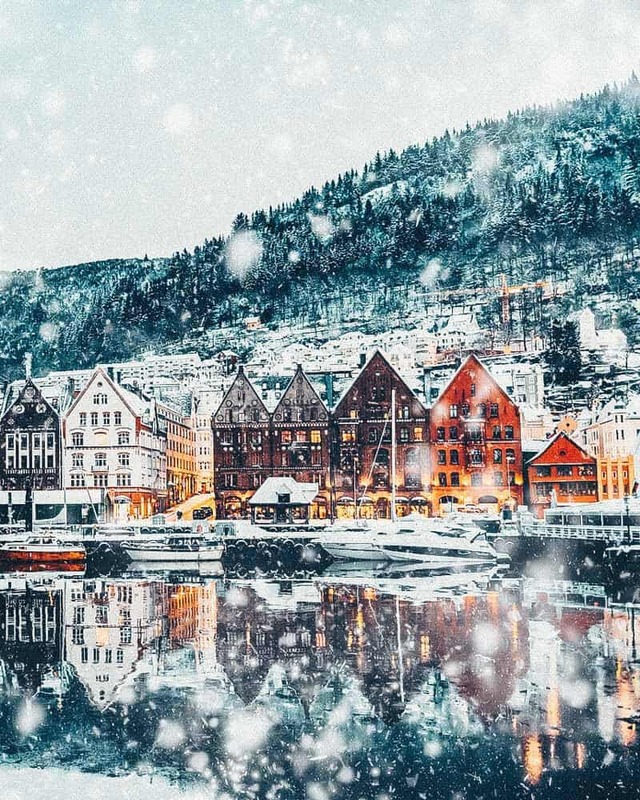 These pictures look absolutely stunning, I would love to visit Norway! 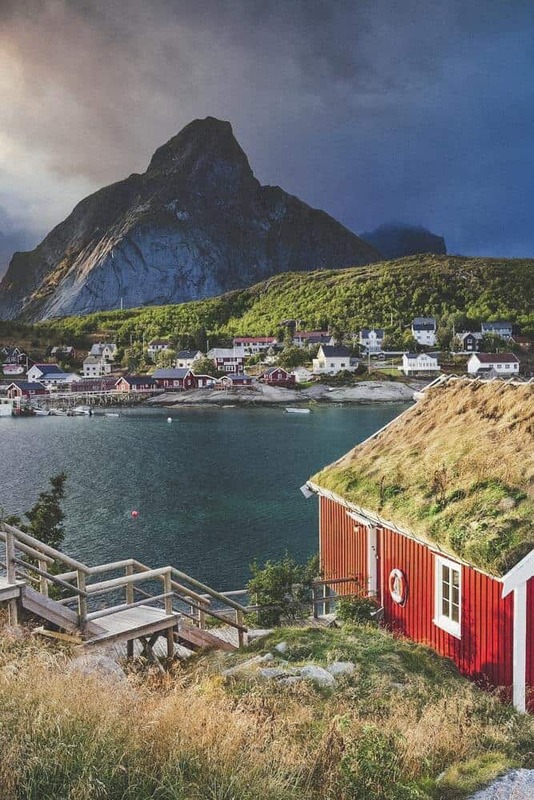 As if I needed EVEN more reasons to want to go to Norway!! Norway is definitely one of the most magical places on earth! Gotta love hiking there..